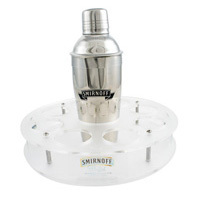 Custom Bottle Glorifier powered by MRL Promotions is known for quality bottle service trays and unparalleled service. Bottle service trays effectively promote your brand in a nightclub or bar resulting in increased recognition and sales. All of the bottle service trays offered by Custom Bottle Glorifier powered by MRL Promotions are completely customizable and are tailored your needs and budget. Custom Bottle Glorifier powered by MRL Promotions designs and produces bottle service trays tout of acrylic, wood, or metal, and can be made in any color or size. Bottle service trays can include LED illumination and lights to standout in the nightlife setting. Our bottle service trays are strategically designed to display your company’s logo and product maximizing visibility to your target audience. Custom Bottle Glorifier powered by MRL Promotions is a leader in creating custom tap handles that meet any specification and budget. Tap handles can be made of resin, wood, acrylic, ceramic, polyurethane, or epoxy. Custom Bottle Glorifier powered by MRL Promotions can custom design a tap handle in any shape, size, design, or color. We have years of experience in designing and manufacturing tap handles, which is why we are able to provide our customers with the highest quality tap handle that meets any budget. 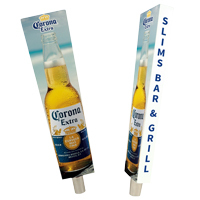 We are committed to providing our clients the highest quality, custom tailored tap handle just as they envisioned. Custom Bottle Glorifier powered by MRL Promotions is devoted to creating custom tap handles that are unique, creative, and innovative for all of our clients. Signage is the easiest, most direct form of communication between your company and your target audience. Signs attract the attention of the customer because of their size and readability. Custom Bottle Glorifier powered by MRL Promotions specializes in creating signs for many different uses. Common signage includes clocks, metal signs and metal tacker signs, wood signs, neon signs, LED and illuminated signs, mirrors, globes, and pool table lamps. Signage is a type of point of purchase, POP signage and graphics, where your company is directly communicating to your audience your message. 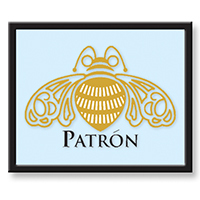 Contact Custom Bottle Glorifier powered by MRL Promotions today to create the perfect signage for your company.